Coryell County chapter of the Texas Militia and a contributing unit of the Texas Militia III% ELITE. The militia is an organization that does not hate the police or other forms of law enforcement. While it is OK to question what is right or wrong. We do not accept those who only see the militia as a way to go against the law. We have proven in Austin and several other locations in coordination with the umbrella of Texas Militia that working with local law enforcement can be beneficial. If you have an issue with this the militia is not a place for you. The local law enforcement is going to have all the information on you all ready. However if we are working with them, then they will overlook the simple issues and give us the support that we are requesting. They will also come to us and request assistance when they are limited on what they can do. Semimonthly clasroom training. We will be covering code of conduct, structure, mission statement, bylaws and jurisprudence regarding the militia. 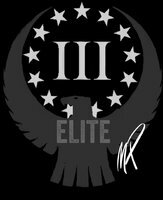 Afterwards we will be covering the very beginning of militia function basics followed by face and fire drills. Walk in the park this time.